What is an OHPBA Member? Thanks for visiting our website! Members of OHPBA and HPBA are typically retail stores or service companies in the hearth, patio and barbecue business. They typically sell and service wood, pellet and gas stoves and fireplaces. Some are HVAC contractors or service companies providing natural gas or propane services. Other members sell outdoor room products such as barbecues, patio furniture, umbrellas, spas and patio heaters. Some are chimney sweeps that both sell appliances and install and repair chimneys and venting systems. The "location/store" is listed as the member and a person (usually the owner/manager) is assigned as the main member contact. Members of OHPBA automatically become members of the national association, HPBA. 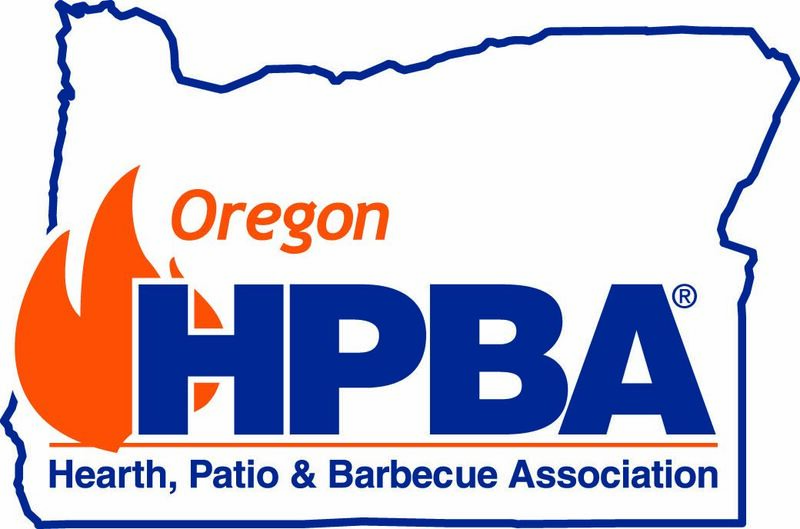 Manufacturers must join HPBA directly since there is a sliding scale dues structure that is also tied into the annual Hearth Patio and Barbecue EXPO. Current members, renew by contacting the OHPBA office at 503-585-8254. We will mail or email an invoice. There are many reasons your business should join your trade association. If you are not a member and would like to join, read on and visit the national website of the Hearth Patio & Barbecue Association www.hpba.org or call HPBA at 703-522-0086. Savings4Members. We will soon be included in a program that offers various programs, most notably consumer finance, including credit card processing, commercial debt collection, fuel, etc. Click HERE for more information. Member's Only Information If you are a member, you will find some useful information in the membership section. If you would like to download the latest issue of the Fireside Chat or minutes of the last board meeting, you will need to enter a password. If you don’t remember the password, please call the OHPBA office at 503-585-8254. Contact 1:1 is an online marketing resource for business owners to access professional marketing materials (i.e. postcards, flyers, door hangers, self-mailers, sales materials, websites) customized to the Hearth, Patio, Barbeque industry and personalized to each member’s business. Find out more about Contact 1:1 by clicking on the link: www.contact1to1.com Create a FREE account by clicking on “Register” in the top right corner of the site to view the library of marketing materials customized for HPBA. Only members are listed on OHPBA’s search engine. OHPBA members are shown on a map of Oregon with the member company name, address, phone number and website. Click HERE to check it out! As a member you receive a membership certificate and membership window decal. Use the OHPBA logo in your marketing to enhance your presence and status as an industry member AND professional. Locally, OHPBA and NWHPBA (representing Washington, Idaho and Montana) join forces to offer three days of education and fun. The Spring Conference is held in the Spring, either May or June. If you don’t go to EXPO, definitely plan to attend this event and visit with Reps and Distributors about the hottest new products for the fall! Members receive a significant discounted registration fee. Members receive discounted event registration. If we let up on our presence at the Oregon legislature, we can expect troubled times ahead. Last session, there were proposals to require a plumber’s license for running fuel gas pipe and an HVAC license for venting and fuel gas piping related work – and we expect to see these proposals again at future Oregon legislative sessions. Your membership in OHPBA will help us achieve our goal of defending our industry from the undue burden we would face if other licensing programs were enacted that only partially captured our work. Only OHPBA members receive updates on how changes in building codes affect the hearth industry. Also, only OHPBA members receive help from the OHPBA office on codes related problems. OHPBA is your representative with air quality agencies, like DEQ. Only members receive updates on proposed air quality rules in Oregon that affect hearth and barbecue appliances. HPBA provides leadership in developing and implementing strategies to meet legislative and regulatory challenges. The Association successfully tackles major safety and environmental issues and delivers solutions that avoid unwarranted regulations while preserving the reputation of the hearth products industry. Member companies are involved in designing the industry’s strategies, and can take early advantage of resulting opportunities. Your association is your voice to the media! OHPBA sends press releases to local papers on your behalf to highlight trends in the industry, to promote clean burning appliances, and to offer home owners seasonal safety tips. When the OHPBA office gets a call from a newspaper, radio, or TV station, only local members are referred to the reporter. As a member of OHPBA, you will stay current with all of the industry news and governmental issues facing your hearth-related business by receiving our quarterly newsletter Fireside Chat. HPBA offers several excellent affinity programs, such as credit card processing, business liability insurance, and freight/shipping programs. Members have saved hundred or even thousands of dollars through these programs. Visit www.hpba.org for details. Health Insurance (MMIC)HomeAdvisor (formerly ServiceMagic), Lead Generation program. See http://www.hpbahomeadvisor.com or call 303-963-7747. The Hearth, Patio, Barbecue Education Foundation (HPBEF) provides education and printed materials, handbooks and technical guides. See http://www.hpbef.org. Education courses are certified by the National Fireplace Institute®. NFI is the professional certification division of the Hearth, Patio & Barbecue Education Foundation (HPBEF), a 501(c)3 non‐profit education organization for the hearth industry. To download either an NFI or C.E.U. brochure log onto: ww.nehpba.com/educationhttp://www.nficertified.org. HPBA then adds technical, marketing, and management information not otherwise available. HPBA’s EXPO includes every aspect of the hearth products industry, from learning state-of-the-art installation procedures, to purchasing new product lines, to strengthening and forming business alliances. HPBA’s web site offers the latest information on Association activities, industry events, and consumer information. The password protected members-only area provides value-added information, analyses of essential issues, and important information about member services. The consumer pages offer the dealer locator, making it easy for consumers to find a nearby HPBA member retailer. HPBA publishes statistics, surveys, and reports for participating members, to determine the direction of the industry, measure the performance of industry segments, and provide benchmark performance indicators.